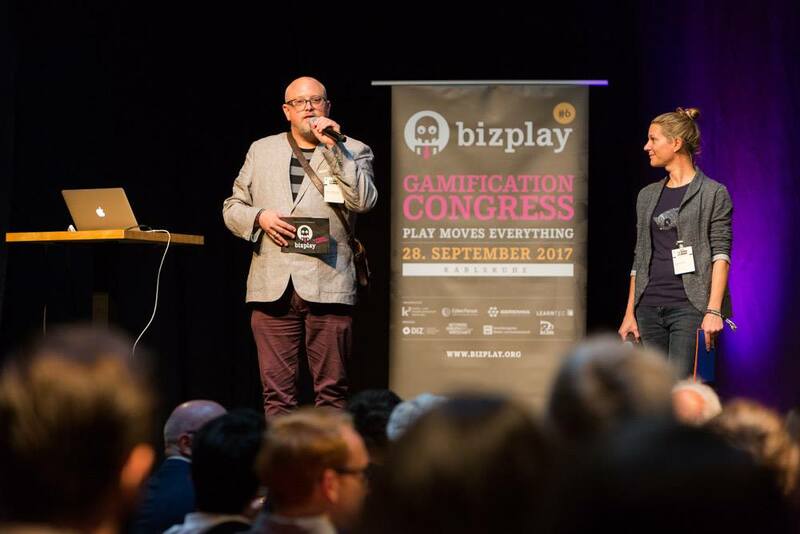 On 28 September 2017, the gamification congress bizplay at the Tollhaus Karlsruhe took place for already the sixth time. 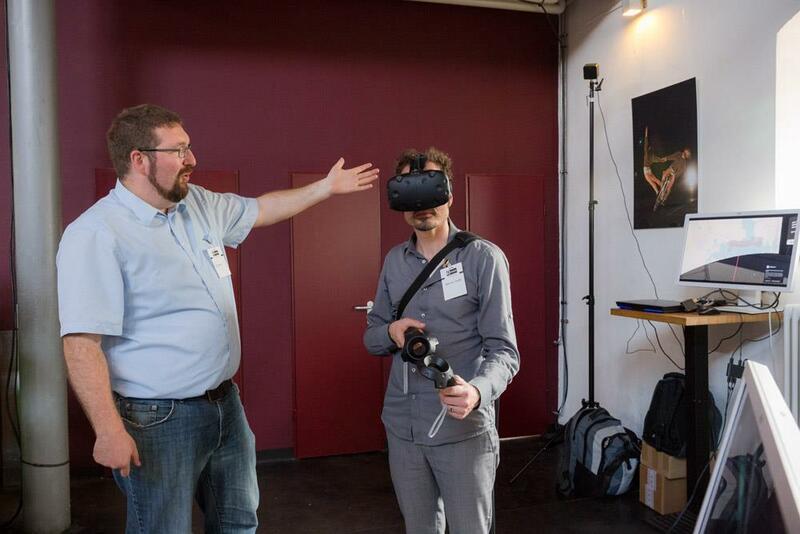 Curator Steffen P. Walz answered me some background questions about the congress, its beginning, development and increased importance and how he experienced the bizplay 2017. 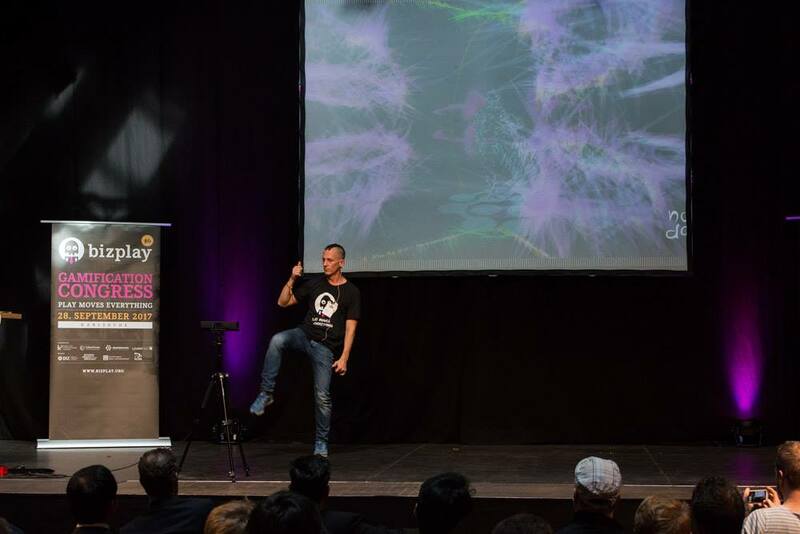 The first bizplay took place in 2012, where did the idea come from and how did the congress develop over the years? 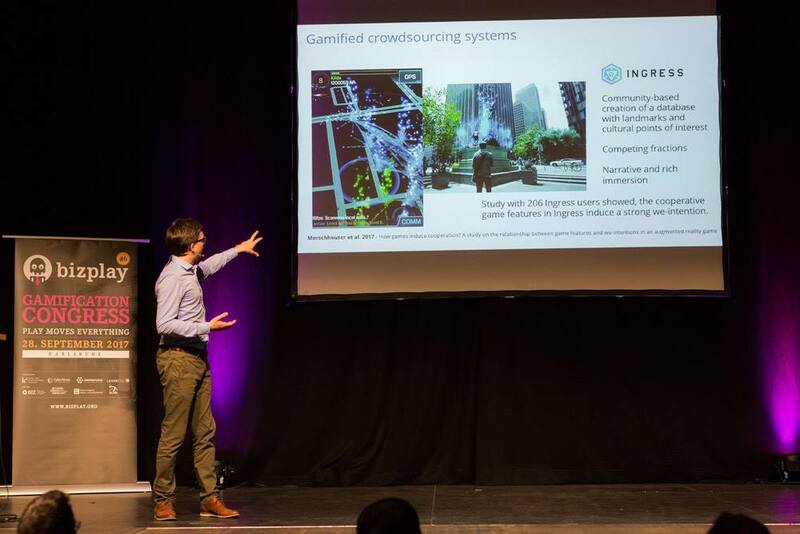 Dirk Metzger of the K3 office and I had the idea back in 2012, to also help establish my gamification and game design research laboratory that I established in Karlsruhe back then, the GEElab Europe. The GEElab Europe doesn’t exist any longer, but so does bizplay – the congress started out as a relatively smallish symposium with 30 attendees that we had hand selected, and has grown, also thematically, into a congress that attracts high calibre, international speakers and an audience from Germany and other European neighbor countries. 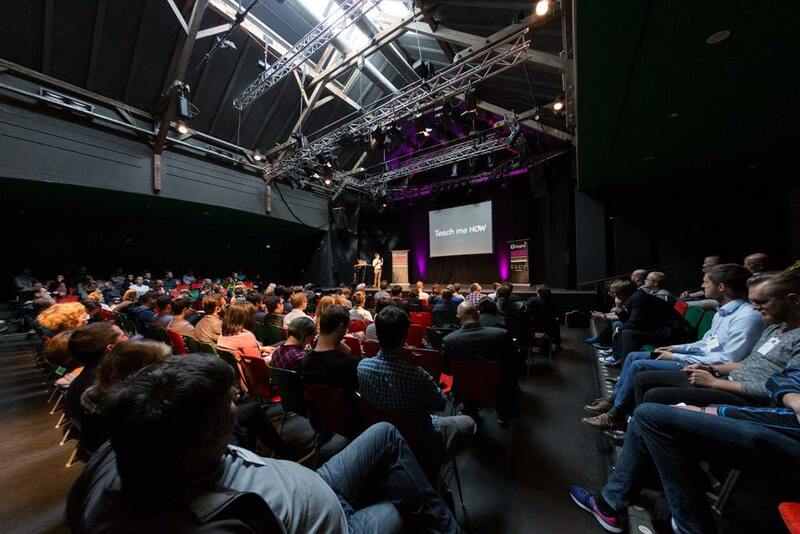 How come that one of the most important congresses for gamification within the German-speaking area takes place in Karlsruhe? We had set out to run an event that we would like to attend ourselves – casual but cutting edge, at an off location, with music and a mix of lectures, workshops and interactive formats, covering different facets of digital play, relevant to industry representatives, creative technologists and local start-ups, to help along networking and to showcase best practices and outstanding ideas at the intersection of gameful, technology-based, cultural and societal topics – and this way, to also help promote Karlsruhe, the GEElab Europe and all co-organizers: K3, the Cyperforum, the KMK Messe and my company, gerenwa. How did you choose the motto for this year’s bizplay: “play moves everything”? I considered the core of play, movement – and then used this to find speakers and topics that ticked the box. 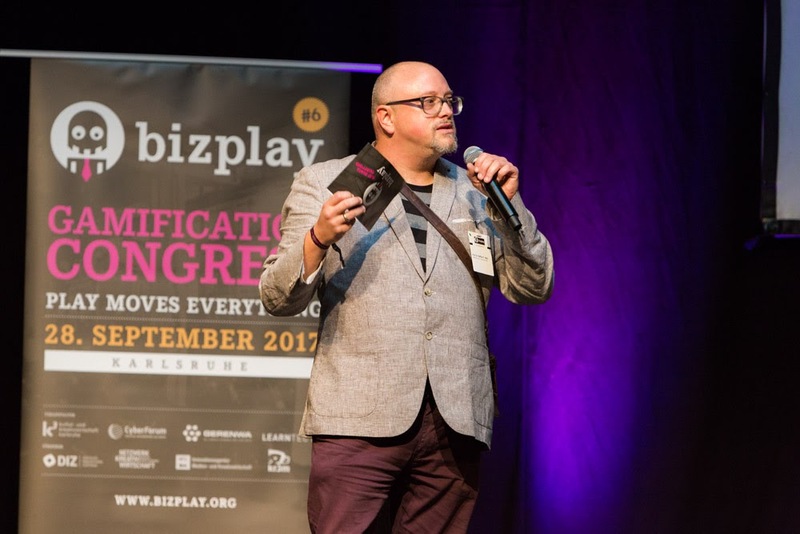 How did you experience the bizplay 2017? How satisfied are you with the day? Can you mention your personal highlights? Each bizplay has been different thus far – what’s common, though, is that I invite speakers I’ve been knowing for a while, and who this way, I get to catch up with, which is aways a highlight. 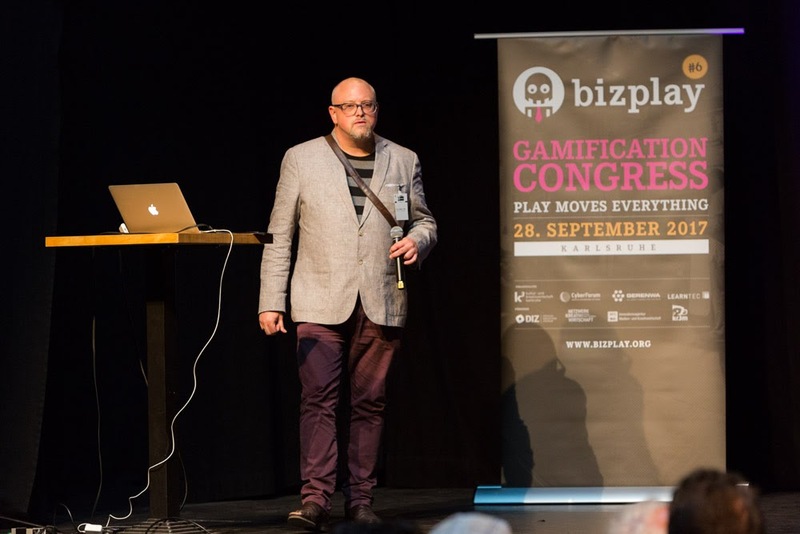 For example, with this year’s keynote speaker Dr Sebastian Deterding, I spent a few days post-bizplay, on a tour through the Black Forest; Sebastian and I co-edited a book together, The Gameful World – and he happened to be a speaker and workshop leader at the debut bizplay in 2012, which kind of closed a loop for us. Is next year’s bizplay already in planning? What can we expect? Yes, of course – at this stage, we are planning to features three thematic strands, one around artificial intelligence, the second around automotive, and the third around creativity. We have started to look for interesting speakers and products, so please feel free to to be in touch! What do you consider as the current main gamification trends? Unexpected appearances of gameful elements, such as the www.cryptokitties.co, which is somewhat gamifiying a cryptocurrency … but then, what we might consider to be „unexpected“ could be just an expression of the trend towards convergences of markets. Steffen, thank you very much for taking your time!